Kolkata: Power major NTPC is likely to join the coal logistics joint venture mooted by Coal India (CIL) and Shipping Corporation of India (SCI). 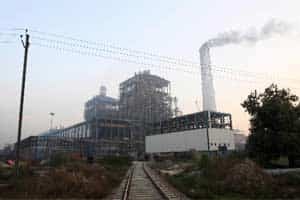 “Talks are at an advanced level with NTPC for the proposed JV," SCI chairman and managing director S Hajara told PTI here. Coal India and SCI are banking on NTPC, a major client for imported coal. A firm commitment will help the coal major to finalise import contracts with suppliers. NTPC during the current year aims to import 16 million tonnes of coal to meet its feedstock requirement. The power generating companies, however, want to restrict coal import to 10% of total consumption to keep power price in check. In order to do so it has already signed an MoU with SCI and invited Indian Railways to join the consortium. CIL chairman N C Jha said four to five proposals have been received for long-term offtake contract of imported coal and will take it up with the board in the near future. The PSUs have proposed joint venture for the import of 25 million tonne of coal per annum. The supply contract for acquisitions will also ensure steady supply of imported coal for the joint venture. CIL said the hindrances for overseas acquisitions have been removed by the Centre and CIL’s sub-committee on acquisition will take up proposals shortly. Meanwhile, CIL has finalised the consultant to carry out a feasibility study, facilitate incorporation of the joint venture company, prepare the joint venture agreement, business model and other responsibilities. Sources said leading maritime and shipping consultant, i-maritime consultants has been awarded the contract and CIL officials will sit with them early next week.